"Proudly Serving Temecula, Murrieta, Canyon Lake, Lake Elsinore and Surrounding Areas"
When you own an RV, it can be difficult to take it in for repairs or service because of the sheer size and difficulty of towing. It’s for this reason that mobile RV service is so beneficial. With it, you can avoid the charge of a tow truck and save your time to do something more important. At Miller’s Mobile RV Service, we specialize in making your life easier by helping with any type of service you could need for your RV. Whether you have a “check engine” light that’s on or a part of your RV is starting to make a strange noise, it’s crucial to know exactly what’s wrong right away. This will not only minimize the chance of damage but it will also help increase the longevity of your vehicle so you can use it for longer. At Miller’s Mobile RV Service, we come to you and do a full evaluation to determine the exact problem. 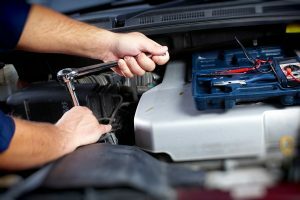 From there, our mobile mechanics can do the repairs or updates that are necessary. Do You Need Traditional Service? From an oil change to a quick engine inspection, we come to you do this so you don’t have to spend time coming to us. Our mechanics have years of experience of all makes, models and sizes of RVs. Don’t waste time waiting weeks for an appointment at a mechanic that can’t accommodate your vehicle. With our mobile service, you get help right when you need it so you wait as little time as possible.